Shatin Hong Kong, also known as Sha Tin, is a large sleeper town around thirty minutes north of Central, Hong Kong. Set in the New Territories, Shatin is the biggest of Hong Kong’s 1970’s New Town projects and has more than 650,000 residents. It's largely a cluster of high rise residential buildings set neatly along the Tuen Mun river, although it is also home to Hong Kong's biggest racecourse and the excellent Hong Kong Heritage Museum. 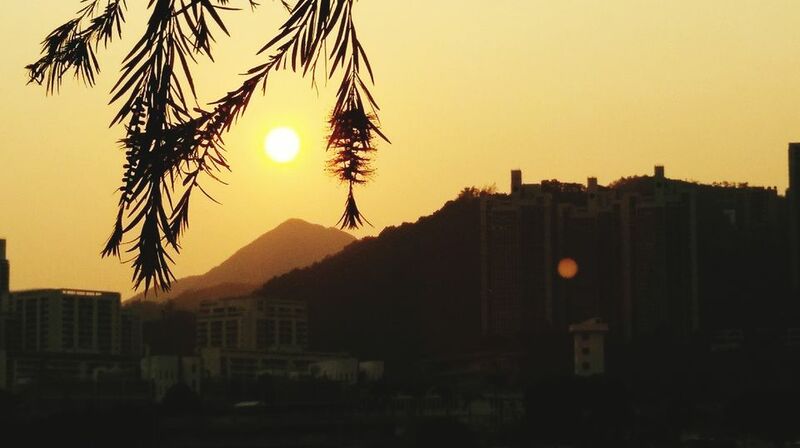 If you’re only in Hong Kong for a couple of days, it’s hard to recommend Shatin. The best of everything (museums, shopping, sights, hotels) are all to be found in Hong Kong proper - and it's not a particularly good base for exploring Hong Kong's green outback either. But, if you have a few more days to spare and/or are especially interested in seeing how everyday Hong Kongers live, Sha Tin makes for a fascinating half day excursion. Until the 1970’s, Shatin was a small rural community set around farmlands and a handful of ancestral buildings and food market. That was all to change when it was designated the site of Hong Kong's first new town, designed to try and absorb Hong Kong's growing population and house the increasing number of refugees from China. Set up to be largely public housing, a legacy that lasts until today, Shatin is essentially a large scale bedroom community set into neatly arranged public housing sections. Most of the 650,000 people who live here travel into Hong Kong city to work. The town is split into a number of separate districts, with the center based on the New Town Plaza shopping center and attached MTR metro station. While not quite as spectacular as the main Happy Valley racecourse in the city, Sha Tin racecourse is still an amazing piece of construction and well worth a visit when the horses are in town (most weekends). Boasting a capacity of 85,000 people and the biggest outdoor TV screen in the world, the noise and excitement on race days are exhilarating. If you’re in town to see what life is like for the average Hong Konger, take a stroll around the New Town Plaza shopping center above the MTR station. The plaza bustles with shoppers after office hours and at weekends, as locals indulge in their favorite pastime of filling their shopping bags. Unlike the upmarket malls of Central and Causeway Bay, the Plaza is full of good value shops and restaurants aimed at the average man. The best way to get to Shatin is via the MTRsEast Rail Line (blue) from Tsim Sha Tsui East. The journey takes 19 minutes and costs HK$8 for a single ticket. Trains run from just after 6.a.m. until just before midnight. If you’re traveling to the racecourse, you’ll need to travel on to Fo Tan, or the dedicated Sha Tin Racecourse stop, which operates on race days.